It’s another first for Omega, this time as timekeeper for the Ryder Cup in September, directly after timekeeping duties finish at the London Olympics. 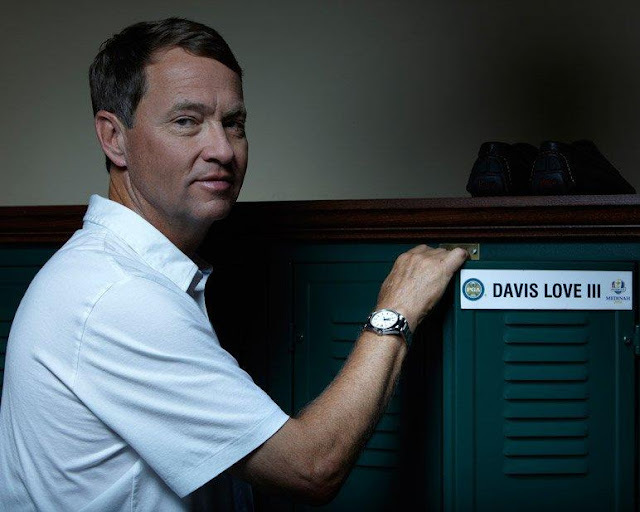 Omega brand ambassador Davis Love III, who has been a part of six U.S. Ryder Cup teams, winning the cup in 1993 and 1999 will wear the Seamaster Aqua Terra 'Captain’s Watch'. It features a 41.50 mm brushed and polished stainless steel case with a polished bezel. Its polished screw-in caseback has a sapphire crystal that allows a clear view of the watch’s movement. The tournament, which is one of the most eagerly anticipated events on the golfing calendar, is a competition between teams from Europe and the United States which is contested every two years, alternating between American and European courses. No prize money is involved – the best golfers in the world simply want to win. Powering the “Captain’s Watch” is Omega’s exclusive Co-Axial caliber 8500 with a Si14 silicon balance spring. The combination offers such outstanding reliability and performance that the watch is delivered with a four-year warranty. The silver dial has the vertical “teak-pattern” lines that characterise the watches in the Aqua Terra collection. Brushed and polished 18 carat white gold indexes mark eleven of the hours; there is a date window at 3 o’clock. The watch has distinctive facetted blue hands that are coated with Super-LumiNova, making them legible in all lighting conditions; while the central seconds hand has a yellow tip. 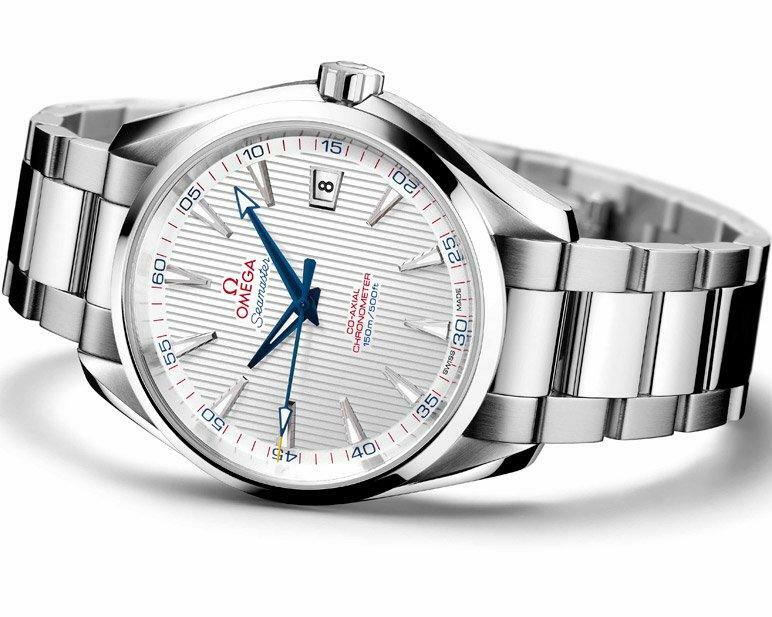 The Omega logo on the dial and the words “Co-Axial Chronometer” in red are the non-numeral markers on the minute track. “Seamaster”, “150m/500ft” and the numerals on the minute track are blue. These colours against the silver background of the dial echo the US national flag. The stainless steel screw-and-pin bracelet has brushed outer links and polished centre links. The Omega Seamaster Aqua Terra “Captain’s Watch” is water resistant to 50 metres/500 feet.